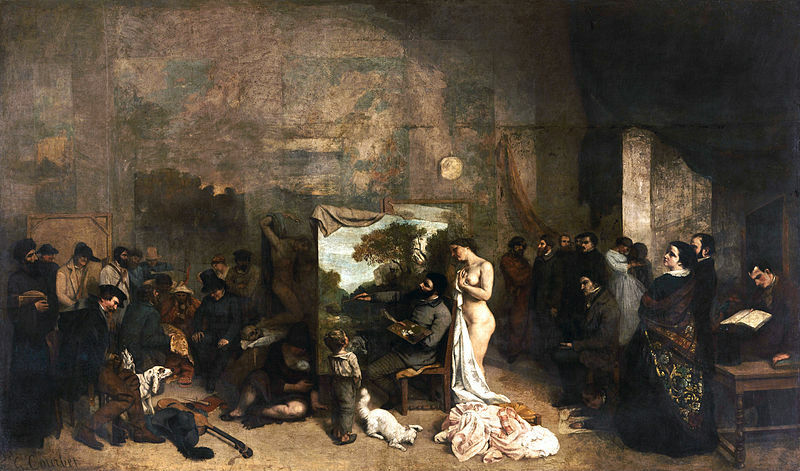 Zola wanted to say something about the art world and the seismic shift on western art wrought by impressionism, and he thought he’d plumb the lives and minds of his artistic friends in order to enrich the tragedy of the story. Where that got a bit willing was the central character of Claude Lantier, in Zola’s phrase “a sublime dreamer paralyzed by an inborn flaw”, clearly based in some ways on the author’s lifelong friend, Paul Cézanne. On every side the walls were covered with a mixture of the excellent and the execrable, in every possible style; last-ditchers of the “historical” school cheek by jowl with youthful fanatics of Realism, colourless mediocrity with blatant originality…” [In other words, portrait of any seaside, open air, exhibition, sans the words “the excellent and”]. …she ventured to criticise him for painting in a blue poplar, he showed her on the spot the delicate blue cast of the leaves, and she had to agree with him that the tree really did look blue. In her heart of hearts, however, she refused to accept the fact. She was convinced that, in nature, there was no such thing as a blue tree. They hurried ahead, ran almost, to escape from this place where bitumen still reigned supreme, condemning everything wholesale with the injustice of all good partisans and swearing there was nothing worth while in the place. A man has to eat (apparently) but the artist’s struggle to forge anew, to escape the strictures of schools, to overcome self-doubt and popular taste, to make a living, is a timeless one, and Zola’s tale makes for a very superior potboiler. (He’s a good thing or two to say about Wagner, too.) 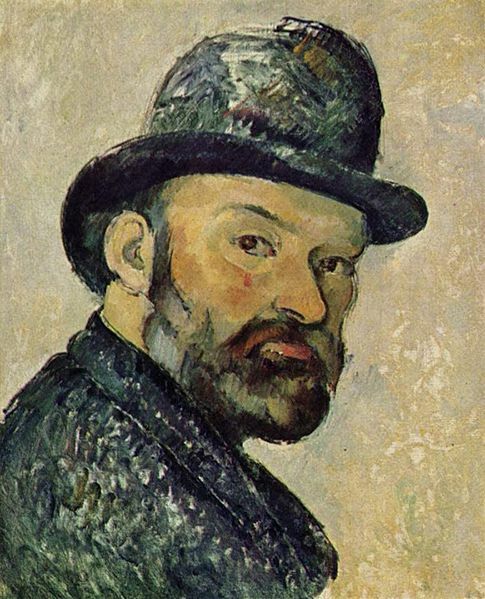 After Zola sent Cézanne a copy of the novel (“L’Oeuvre“), the painter sent back a polite and formal thank-you note. The two never communicated again. As Zola, from instinct or prescience, commented in his book, In the consequent misunderstanding their old friendship seemed to have died.